What is the Average Lifespan of a Domestic Horse? Many horses live to be over thirty years old, much longer than even the oldest cats or dogs. In fact, many horses live beyond the age of 30 with good care; some senior horses are still ridden or driven lightly. 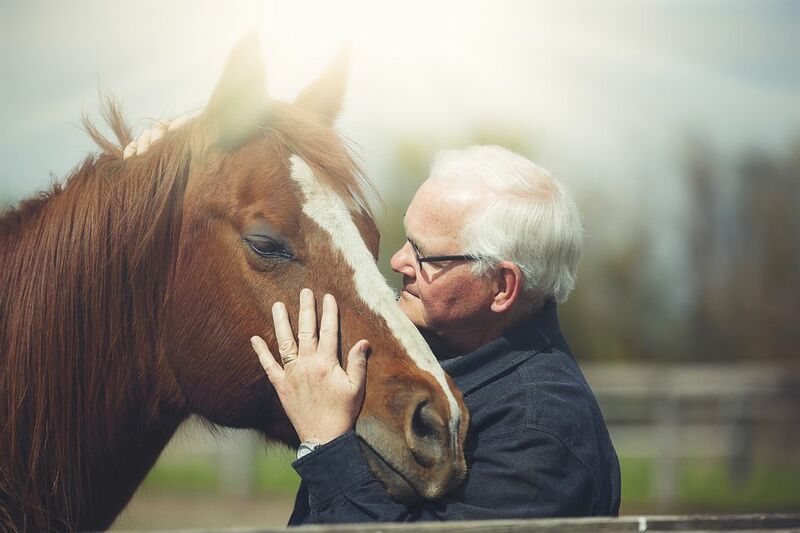 Advances in the understanding of care and veterinary medicine have increased the lifespan of horses, just as improved medical and nutritional knowledge has benefited humans. This means horses and ponies are living longer than ever just as many people are. The reality, however, is that some breeds live longer than others. According to the Ontario Ministry of Agriculture, the average lifespan of a domestic horse is 25 to 33 years. Many horses go well beyond this average. Ponies tend to live longer with many ponies still serving as schoolmasters well into their 30s. A few ponies and horses may even reach the age of 40 or over. The oldest horse ever recorded was 52 years old, ut larger horses like draft breeds are generally not as long-lived as smaller breeds such as Arabians. Of course, there are exceptions to every rule. There are some really elderly draft horses out there. Extreme old age can be hard to verify, however, especially if horses don't have identifying paperwork and have changed owners several times. You can tell the approximate age by looking at a horse’s teeth, but teeth are not a 100% accurate way to determine age. So unless a horse has some sort of competition passport or registration papers verifying its identities, information about age may be lost. Many people report that with good care, their senior horses continue to live healthy and useful lives. With careful attention to basic maintenance of a senior horse such as feed, dental and hoof care many horses can remain sound and useful into their senior years, and remain a joy to their owners even when fully retired. Some may still be used to give children lessons while other senior and retired horses keep young horses company and teach them good horse manners. Others are just enjoyed for their personality and presence. In the wild, a horse that can't keep up with the herd becomes a target for predators, or older horses can succumb to starvation or colic. Older horses have weaker immune systems and it may be harder for them to fight off bacteria and viruses and without veterinary care, they can become run down quickly. Very few die peacefully in their sleep. But horses that avoid these problems have a much greater chance of living a healthy and useful life far beyond horses several decades ago.